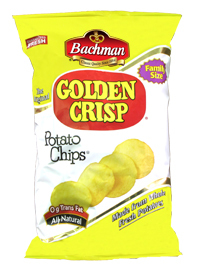 The Bachman Company is a family owned potato chips manufacturer, with a long tradition of excellence in flavored potato chips and snack foods. Headquartered in Reading, Pennsylvania, with potato chip manufacturing facilities in both Berks and Lancaster County, they have been committed to making quality pretzels and snack foods for 125 years. Their signature Rolled Rods and Twist Pretzels are made the old-fashioned way; rolled or twisted by our heritage bakery machines rather than the common extruded methods employed today. They are then Brick Oven Flame-Baked, ensuring a distinctive crispy bite. Their founder, J.S. 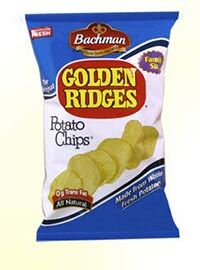 Bachman, went into business in 1884 just selling pretzels. He had a small oven and a horse-drawn delivery cart - his product was hand-made and packed. Although the pretzel had been recognised in Europe for 1300 years by 1884, Bachman’s bakery was one of the first in the United States. 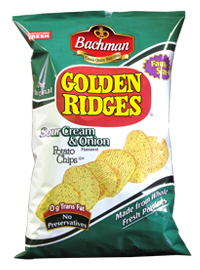 Since then, The Bachman Company has become a leading producer of a full line of salty snacks, including Twist Pretzels, Rolled Rods, Pretzel Stix, Pita Pretzel Squares, Kidzels, Jax Cheese Curls, and 100% Stone-Ground Tortilla Chips and healthy alternatives to chips. Many changes have taken place in the Bachman Bakery over the years, but their insistence on excellence will never change. From J.S. Bachman’s horse drawn cart to today’s modern machinery and facilities, consumers can always count on Bachman classic quality. 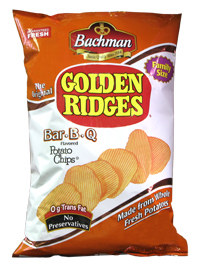 Bachman Co. sold its Jax, Bachman, Thin'n Right and Chipitos brands to Utz Quality Foods, as well as its production facility in Ephrata, Pa., in 2013. 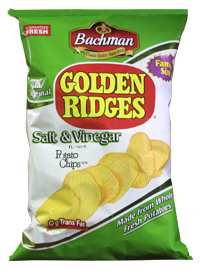 A figure was not released and Bachman still trades under the brand name Savor Street Foods, from its Hyde Park, Pa., plant, and as well as continuing to produce certain products for Utz it now concentrates on its Pretzel products.